The Tour Schedule for April 24 – Check out this blog today and enter to win the tour giveaway. 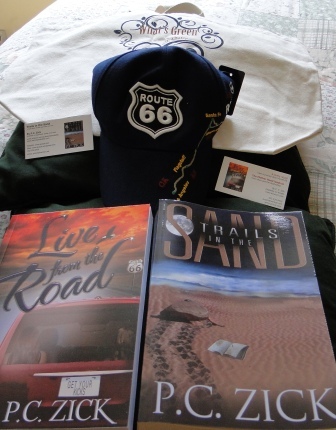 This entry was posted in Books by P. C. Zick, Route 66, Trails in the Sand and tagged blog, fiction, Live from the Road, novel, Route 66, Trails in the Sand. Bookmark the permalink.